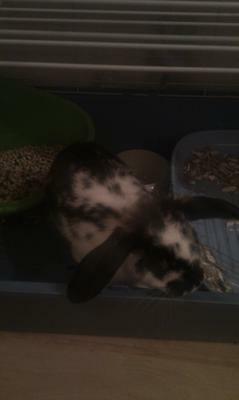 Hi, My rabbit's name is Marley and he's about 3/4months old. I don't know very much about his mum/dad as he was a present for me. At first we thought he was a dwarf but his ears got bigger and he is growing so fast. Everyday his ears are different. One day they're down all day and the next day they are up. Can someone please help me with what breed he is. Comments for Can anybody help with the breed of my rabbit?